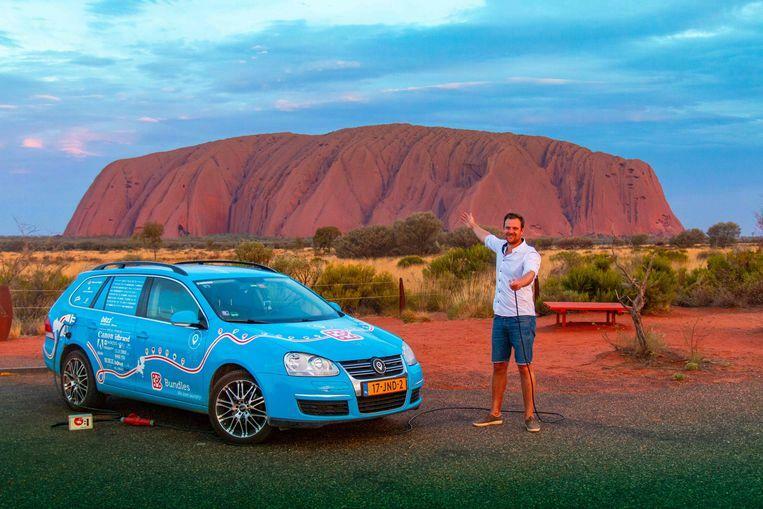 Three years after his departure from Houten in an electric car and with more than 95,000 kilometers and 33 countries behind him, the Dutch adventurer Wiebe Wakker has reached Sydney today. 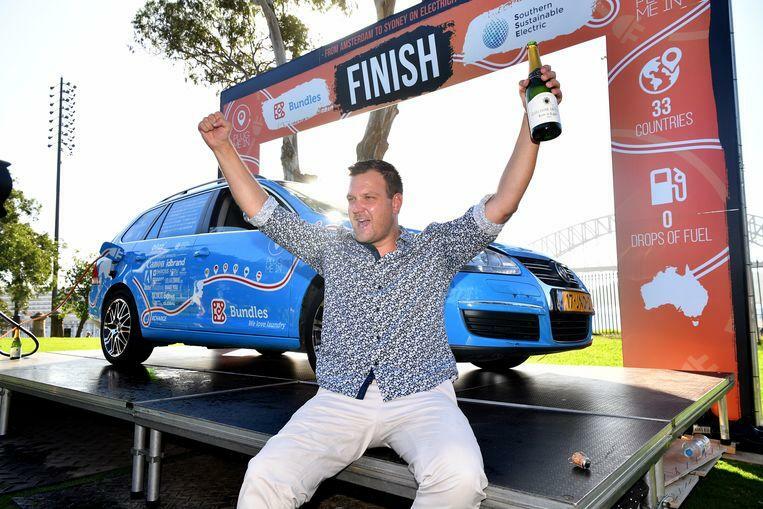 After 1,119 days, Wakker has written the longest journey ever in an electric car. 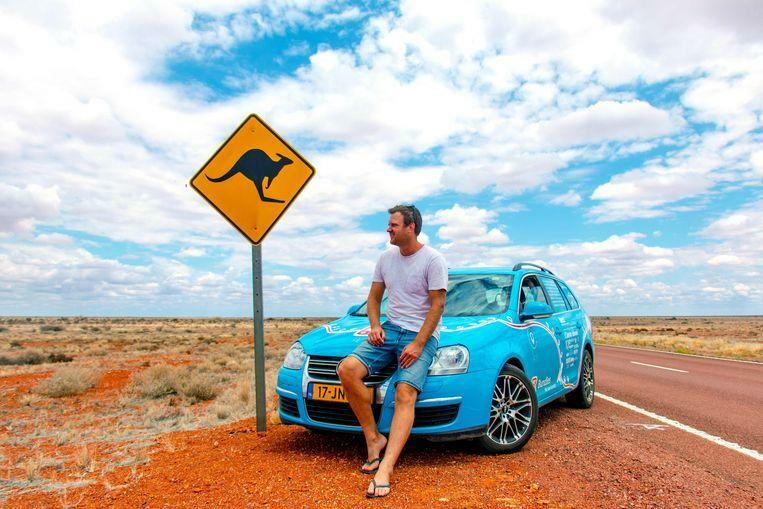 The car, a converted station wagon called the Blue Bandit, has a range of 200 kilometers. 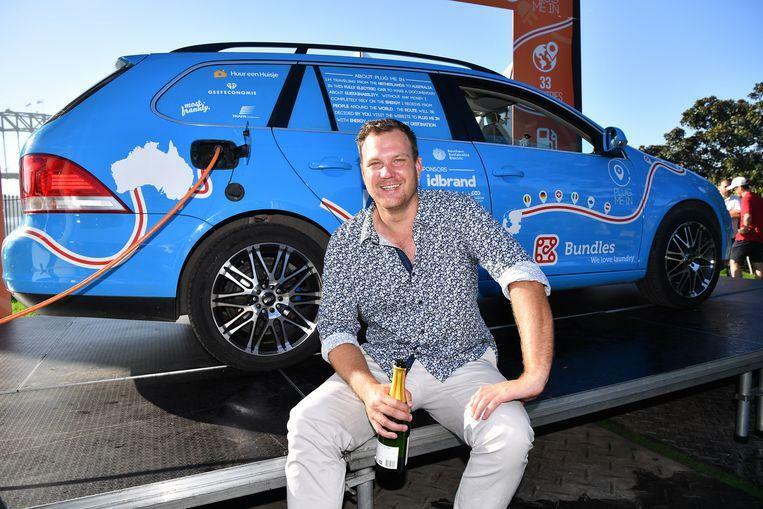 The original non-converted version is said to have used 6,785 liters of gasoline during the 95,000 km journey from Houten to Sydney. 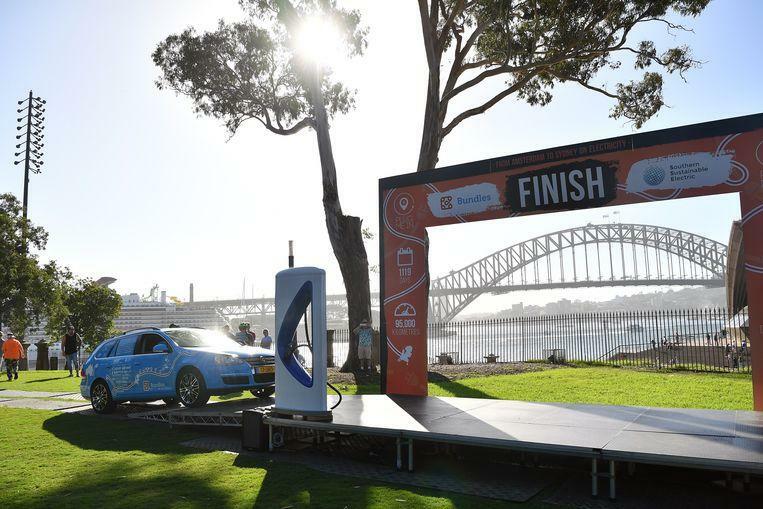 The Blue Bandit consumed 17-megawatt hours of electricity. This would normally have cost 2,355 euros, but Wiebe made it through the help of all the support offered to him with just 300 euros.